Colorado Springs had a vision: a compact and connected Downtown. 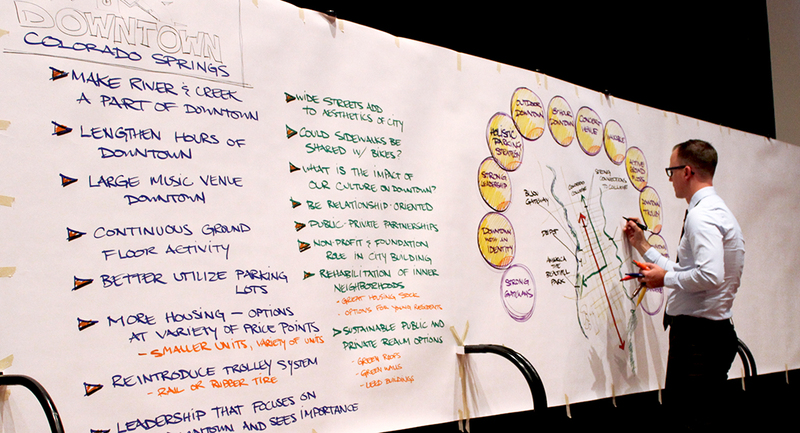 To turn that vision into reality, we helped the Downtown Partnership of Colorado Springs update its Imagine Downtown Master Plan, focusing on tactical implementation strategies, including mobility and streetscape improvements. 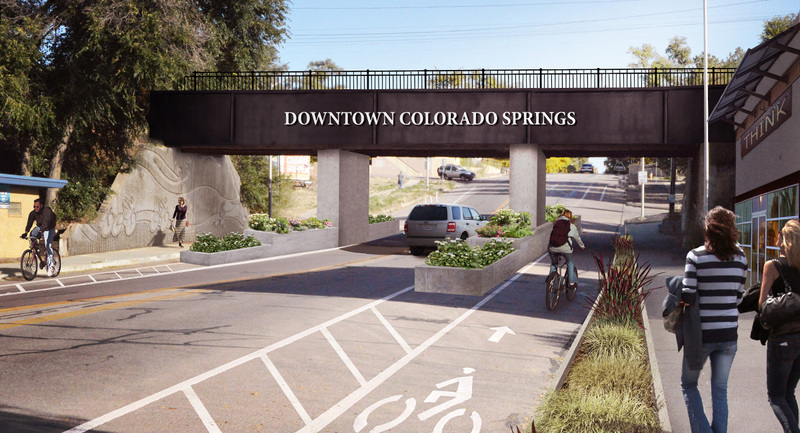 The Plan now outlines a more compact walkable and bikeable urban center, fosters a healthy and livable Downtown environment, and embraces the natural beauty and athletic culture that define Colorado Springs. The Mobility Framework highlights a network of green streets connecting the city’s urban core to the Legacy Loop – a nearly 10-mile loop of trails encircling Downtown. 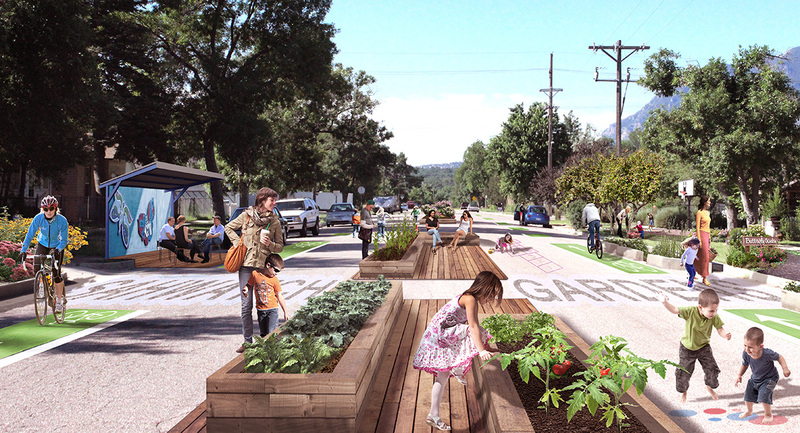 This comprehensive green streets network can provide improved pedestrian and bicycle facilities, as well as enhanced landscaping and sustainable stormwater management infrastructure. The tactical update will direct focused and coordinated efforts by the Downtown Partnership, City of Colorado Springs, and many other public and private partners.